From making coffee in the morning to filing TPS reports in the afternoon, we are surrounded by processes. Processes are an essential ingredient to making life easier and without them your life would be much, much more difficult. Imagine the burden having to figure out how to make coffee every morning as opposed to just following a simple, repeatable process. Not much fun at 6:00 in the morning. Policies define the rules and regulations that need to be followed when completing a goal. They give the user a framework in which to operate. Procedures provide step by step granularity for each of the tasks in a process. Think about it this way, processes provide the breadth and procedures provide the depth. Below is an example of policies, processes, and procedures as they relate to making coffee. Policy: Never make flavored coffee in the red coffee maker. Only make flavored coffee in the blue coffee maker. Process: To make flavored coffee first fill the blue coffee maker with water. Then prepare the flavored coffee and load it into the machine. Next turn the coffee maker on. Procedure: To turn the coffee maker on first plug it into the electrical socket. Next locate the ON/OFF switch located on the right side of the coffee maker. Toggle the switch so that the toggle switch lights up red. The coffee maker has now been turned on. Policies, processes, and procedures are great, but they all rely on information to function correctly. Information is data with context (facts, numbers, or statistics of any kind). Without a clear frame of reference even the best data in the world is useless. The graph below appears to show something happening over time, but without a clear understanding of what the numbers mean it’s impossible to understand. This graph could represent the number of people killed by cats every year or provide an insight into how vaccinations affect survival rates for a certain demographic segment. Provide a little context and all of a sudden it’s easy to draw conclusions from the data. When policies, processes, procedures, and information come together they form systems. These interrelated and interdependent elements work together as as organized, purposeful structure with a specific goal. Going back to our coffee analogy you could think of a coffee shop as a system with the specific goal of selling you coffee. Sanitation policies, processes regarding flavored coffee brewing, espresso maker startup procedures, and information about the types of coffee being sold support this goal. Automation happens when a system (or a portion of a system) functions by itself in a predictable manner with minimal or even no human interaction. We’ve evolved technically to the point where intelligent, information-driven systems that work autonomously (i.e. self-governing) are everywhere. A good example is the computer, a tool that works with information to help you do a job, allowing you to automate the manipulation of data. Software automates a lot of boring work that humans would otherwise have to perform. Software also significantly reduces the risk of human error. Most of the time, all of this complexity is hidden behind an interface that visualizes the data and abstracts our interaction with it. Automation can be applied to almost anything, including software, logistics, business processes, finance, data modeling, and management. Systems are near and dear to anyone working in the clinical research industry. A clinical trial’s protocol provides a comprehensive and documented set of policies, processes, and procedures for conducting the research. The FDA provides countless Guidance Documents that represent the Agency’s preferred processes for good clinical practices. SOP’s have been developed for clinical research that cover everything from case report form completion to refrigerator temperature logging. Information is everywhere and is constantly being collected for statistical analysis. The clinical research industry is just beginning to explore the concepts of system automation, with initial efforts focused mainly around organizing the incredible about of information that clinical trials generate. 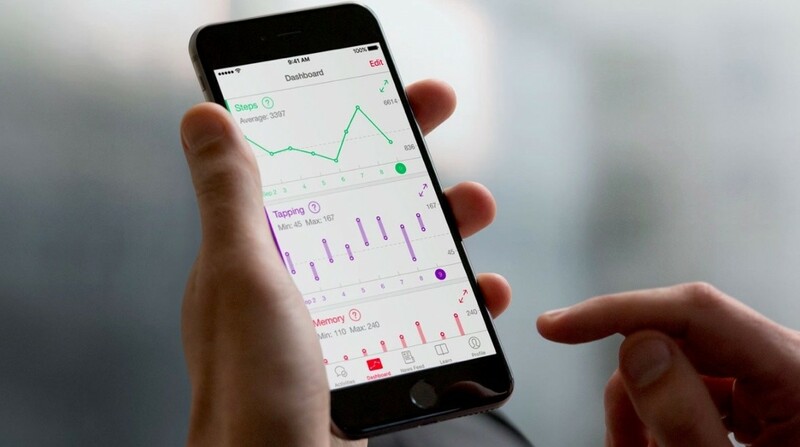 A modern example is Apple’s ResearchKit, which is a layer of software automation on top of their iOS and watchOS platforms that make it easier for researchers to collect and monitor health data remotely. With ResearchKit clinical researchers can automate what might be done in an in-person patient visit via remote software. This saves a significant amount of time and money, resulting in even more efficient clinical operations. Another great example of software automation in clinical trials is the use of Electronic Data Capture (EDC) software. EDC systems are extremely helpful. They improve clinical data quality by providing record conformity, accelerate study completion by streamlining data entry, make it easier to find information thanks to one fully searchable central repository of data, and provide better security due to their inherent electronic audit trail functionality. One can easily see why even small mistakes made by humans on paper can massively disrupt the results of a clinical trial, or even bring into question the the validity of the trial. EDC software has solved tons of problems through automation, making research cheaper, faster, and overall more efficient. Clinical inefficiency is a systemic problem affecting trial Sponsors, Contract Research Organizations, and study sites. Even the best laid operational plans can suffer as study enrollment grows, shouldering personnel with the administrative burden of managing complicated systems. People-driven trial management inevitably affects study sites, negatively impacting clinical efficiency, patient enrollment, and retention. If we look at problems other industries are fixing with the positive, disruptive effects of system automation we see that the clinical research industry is rife with issues begging for automated solutions. Broken clinical supply chains and inefficient logistical infrastructures are two of the main offenders directly impacting clinical trial efficiency both domestically and abroad. While this may be surprising to some, you have to remember that faxing clinical supply order forms is still a part of daily life for some study site coordinators. We've found that even the smallest increase in logistical efficiency pays massive dividends for a clinical trial. It’s absolutely amazing what happens when the focus shifts from managing a trial’s operational complexities to preparing for, and serving the patient. Because after all, more time to focus on the patient experience equates to better enrollment, retention, and clinical outcomes. Rust Felix is the Co-founder and CEO of Slope. He's passionate about helping Sites & Sponsors improve recruitment & retention through better inventory management.